Google ADwords. Our first time advertising. We are now advertising on Google ADwords. Wow. It will be exciting to see our name appearing on Google's ad banners. Heheh. The years 2015-2017 has been challenging. So far we have worked by family and friends' word of mouth advertisements, hope marketing (this actually works up to a point) which got us some of the way, and then by posting random ads on the local state bar committee webpage, Linkedin, Facebook and Hotfrog. They were all useful. Now we try Google Adwords. For every customer that finds us through Google Adwords, we hope this offsets our recent increase in operational costs and increases our customer base. Customers will be happy to note that our rates remain the same and we have not increased our fees since 2015. 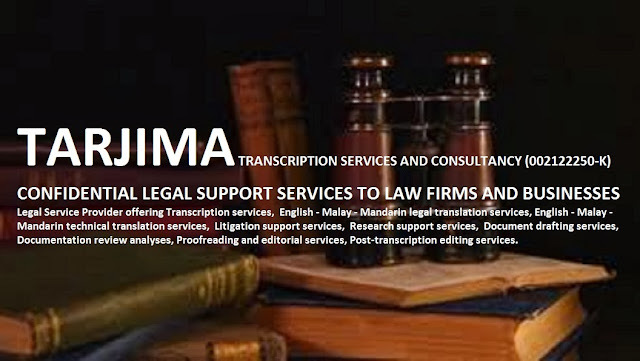 In fact our Merdeka 2017 promotion for transcriptions and translations has started, we offer RM3.00 per minute for transcriptions (contextual services only) and RM75.00 per page for translations (technical/medical/legal translations). Email us at info@tarjima.my for more information. We'd like to inform everyone that from mid - August 2015 our principal has returned to active legal practice, hence the Tarjima team now runs this transcription service by appointment booking. Contact us to book our services. Our work is always accurate and always on time. 1) We provide verbatim transcription services and we tailor our services according to the needs of the client. Our standard rates are RM3.00-RM7.00 (depends on the type of file submitted to us) per minute and our standard turnaround time is 5 days for files not exceeding 10 hours in length. Our work is always done conscientiously and carefully. 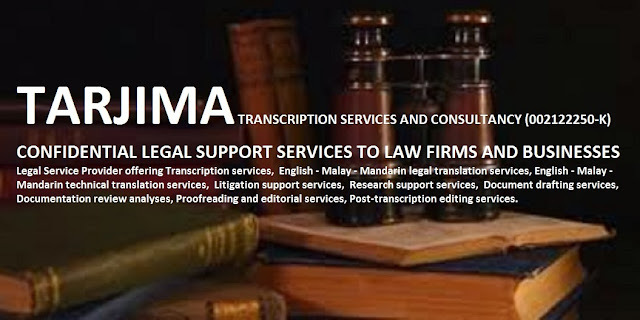 2) We provide translation services at RM30.00 per page - RM50.00 per page (depending on the type of file submitted to us). 3) Other writing services available upon request. Please see our facebook page for the latest services and rates. Do contact us via email or text/whatsapp/telegram for more information on our work products. A new year, with new things happening! We are offering our best rates for the new year and will be revamping the services offered to simplify, clarify and economize on the costs to our clients and ourselves. Happy Lunar New Year to all those celebrating. Wishing you a year ahead full of abundance in everything and bliss aplenty. We will be closed from New Year's Eve until the 27th of February. We will be back at work on 2 March 2015. Since we opened up shop in 2012, we made it part of our social responsibility to provide a rebate from our regular rates for those who serve society. Humanitarian NGOs (non-political), international aid agencies, and not-for-profit non-political government entities can all approach us and request our #publicservicespromo. You will definitely obtain a reduction in rates from us. Kindly write to us at info@tarjima.my to find out more. Terms and conditions of service do apply. We guarantee a conscientious job done every time and we work by booking of our work hours. Once our work hours are fully booked we do not take on additional files. 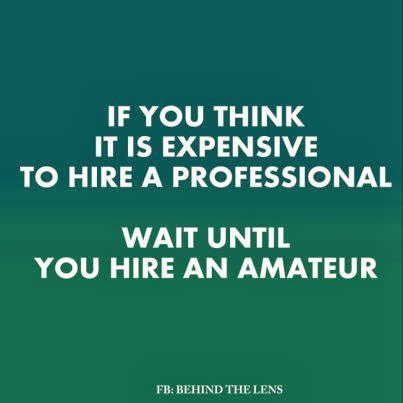 This is what ensures our quality as we concentrate on each client's file as if it were our own case. You know you get quality when you purchase our services. Email us your query at info@tarjima.my. Here's hoping everyone had a fabulous weekend and that you have shown the key people in your life all the love you have for them. Do make sure as well that you do something nice for yourself every week because you are important. On our part here we will offer fabulous rates on our professional services all February and March long. When emailing us just quote our code #tarjimalovesme to utilize this promo! You know you get quality when you purchase our services. Try us and see, we are offering a bundled services promotion until 31st January 2015. Happy New Year! Here's to an abundant, peaceful, happy, healthy and successful 2015. We can't believe it has been almost 8 months since we posted anything on this blog. 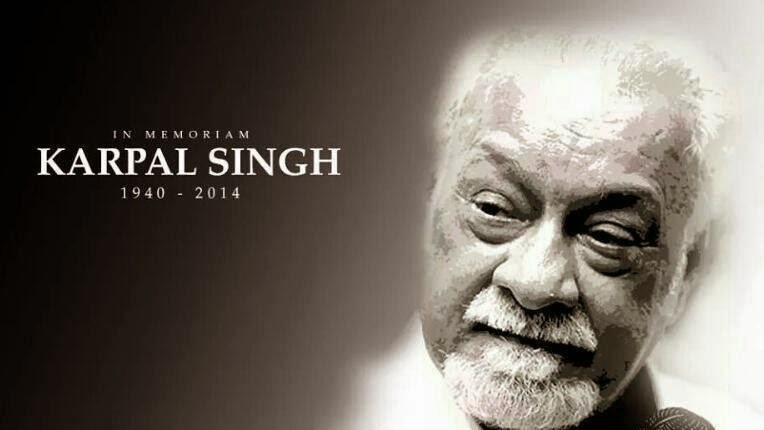 I guess you could say we were shocked silent at the passing of the eminent Malaysian advocate and solicitor Mr Karpal Singh and could not bring ourselves to post anymore updates on this blog after that. Then we started focusing on updating our Facebook presence with regular updates and neglected those of our clients and fans who do not have Facebook accounts. So sorry about that. Many things have happened since April 2014, some incidents in fact which we can't even begin to process the odds of such things happening, but as Freddie Mercury would say, the show must go on! I promise that we will update this blog every first Thursday of the month. At least. We will also share some backdated posts on this site so watch this page for key updates on our services and promotions. Wishing everyone a blessed year ahead. Thank you Yang Berhormat Encik Karpal Singh. Thank you for the 40 years of service to Malaysia and to all Malaysians irrespective of creed and colour. You were everybody's hero and now you and Michael Cornelius walk with all the choirs of the angels in heaven. May God bless you both and your families too. Rest in peace. Our services are confidential. We are not able to display samples of our previous work done for other clients as the intellectual property therein belongs to those clients. We apologize for not being able to share them. However we understand that you may need samples for your office to review, and in this situation we can provide a brief sample of our work from a segment of your work file or alternatively we have ready-made samples we have created for this very purpose. Email us for more details at info@tarjima.my. We just received some badly drafted administrative forms and documents from our service provider and it gave us food for thought. We are wondering whether there should be a requirement of full language competency both in Bahasa Malaysia and in the English Language, before a person takes on any sort of role in Malaysian public institutions and inter/intra-governmental bodies. This is especially important when taking on duties that require interaction with the world at large. It seems to us that knowledge and practical understanding of language usage is key. Otherwise how does one communicate sufficiently and adequately with one's colleagues, vendors, clients, beneficiaries and stakeholders? Do contact us for proofreading and document editing services at info@tarjima.my. English classes for beginners in the Klang Valley and on Penang Island: You may contact us as we know some good English tutors in town in the Klang Valley who offer private lessons with careful supervision; and as for clients in Penang, we know of two experienced English instructors there as well with 35 years of teaching experience. This is for those learning English as a second language. Contact us for more details. Our hearts go out to the missing flight and all the passengers and crew of Malaysia Airlines Flight MH370. We've been watching the news and we wish there was something concrete we could do to help. 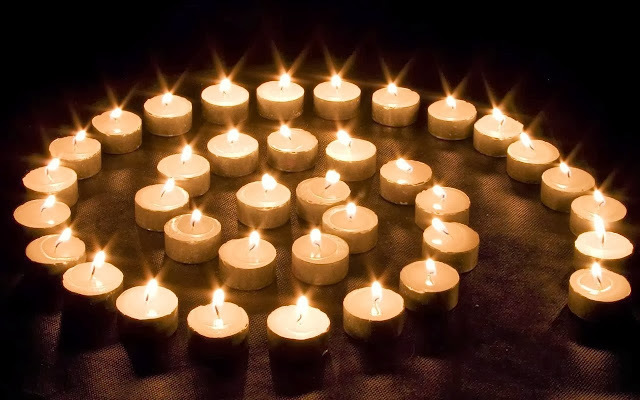 God bless everyone on MH370. God bless the search and rescue parties as well. We were just thinking that we should also applaud the men who have the courage to seek equality of treatment and without any gender bias! Salute to each and every one of you today and Happy International Women's Day! We have received numerous requests from universities, professors, medical doctors and post-grad students for transcription and translation services of bilingual Malay and English audio recordings into written English format. Since October 2013, we have thus far received about 25 requests. Given that we are a small transcription services firm that provides services mostly for law firms, accounting firms and marketing sales firms thus far, we have had to design a work flow and a transcription/translation process that works for this new category of clients and their time constraints. Are there many university medical staff and doctoral students requiring medical transcription services of their research materials and research products? This is interesting! Please note as well that we do provide subsidized rates upon request for students, non-profit organisations, government bodies and public officials. Do contact us to find out our rates and how we provide these bundled services. Gong Xi Fa Cai to one and all! We wish all our clients, friends and family a blessed lunar new year of the Horse. May health, wealth, peace, prosperity, success, love, and bliss gallop into our lives this year and for all of the years to come! 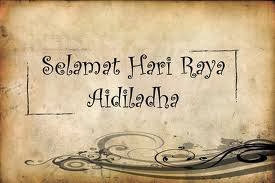 Salam Awal Muharram and Happy Ponggal!!! To all our clients celebrating this auspicious day, we wish you a day filled with joy and bliss. Wishing everyone a fabulous New Year with tons of peace, faith, love, hope, health, wealth and prosperity all year long!!! Greetings of the season and Merry Christmas! Hope everyone had a lovely winter solstice celebration over the recent weekend. Tarjima And Her Wordsmiths also wishes everyone a blessed Christmas and prosperous 2014 ahead. We welcome the reason for the season in joy and hope! Tarjima's sales promotions are beginning 1 December 2013 where we will charge best rates on our various legal editing, court transcription, document translation and document support services purchased. You can even purchase in advance for 2014 as we are offering up to 50% rebate on selected services. Please include the code "Yuletide HNY2014 Promo" when writing to us in order to utilize the promotional rates. Contact us via 0192309181 or email info@tarjima.my to get more details. 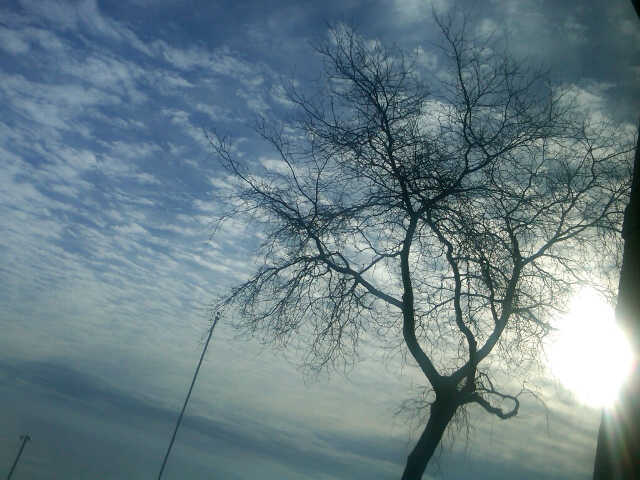 Blessed Maal Hijrah to all our clients, friends and relatives celebrating the occasion. We wish you a lovely and peaceful celebration. Diwali Blessings to one and all! Enjoy the festivities, drive safely, and have a marvellous celebration! May God's light and love shine over you and yours all year long. Now onward for Tarjima to our client's invitation to share in muruku, masala dhosa and mutton curry for breakfast! Well we thought this was hilarious but on point indeed. We provide legal transcription services that are perfectly verbatim and we give clients the option of including ambient sounds or filtering them out where they are not integral to the file transcription. Some clients have labelled our transcription rates as on the high side, but with our ATV: Durian Runtuh promotions this is no longer the case. We have also generally adjusted our rates to make them more competitive! Do check out our list of services here : range of services that we offer. We also do randomly give certain clients freebies and further reductions in our rates! But remember folks, quality comes at a price, and we will not compromise on quality. You get what you pay for, and we always aim for an accurate transcription every time. Our main worksite at Tarjima Transcription Services & Consultancy appears to be having some network difficulties. Our worksite will be up and running by the morning. Apologies for the slight interruption in availability. We are checking with our IT service provider to find out what the issue is and in the mean time please refer to the cached copy of our worksite on Google over here in case you are searching for our range of services that we offer. The idea of untranslatable words as seen in this aerogramme article is so intriguing to us at Tarjima. Our personal favourites are komorebi, sobremesa and mangata! It makes us want to have an evening fiesta with our friends and loved ones, by the beach amidst the tropical trees and sun-kissed leaves. Wishing all our clients, customers and friends celebrating the festivities today a Happy Eid Adha. May you and your families be blessed. Best Navarathri Wishes to all clients, customers, and friends who celebrated this festival over the past week. May you and your families be blessed. 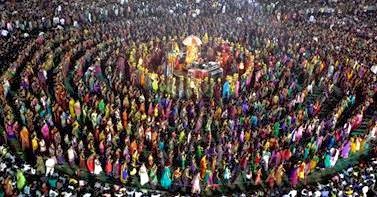 Shubh Navarathri! We are offering flat-rate promotions for all document drafting, document review and transcription services from Merdeka 2013 until this Deepavali 2013. We have various flat-rate packages to suit your needs! ii) transcription of court audio records not exceeding 4 hours length for transcription services. We also tailor our rates to suit your work budget and your specific needs. Do contact us on 0192309181 to find out more or check out our full range of services on our work webpage at http://www.tarjima.com.my/List+of+Services+Offered.